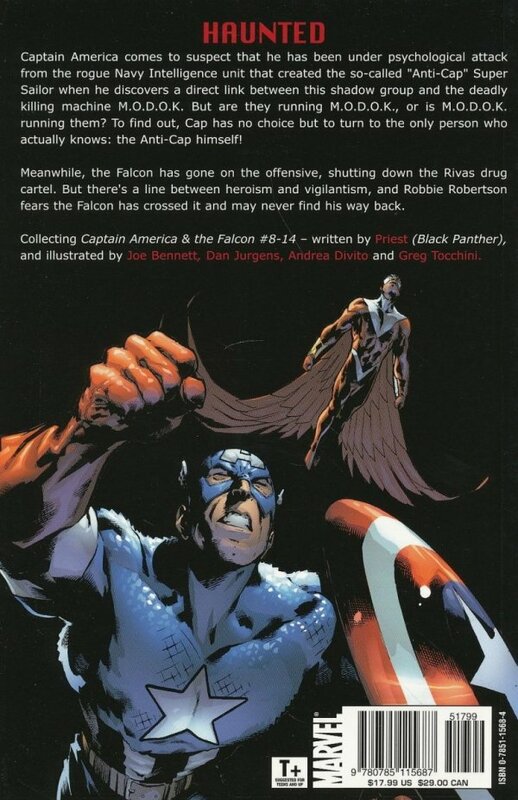 Haunted by his personal failures, Captain America comes to suspect that he has been under psychological attack from the rogue Navy Intelligence unit that created the so-called "Anti-Cap" Super Sailor when he discovers a direct link between this shadow group and the deadly killing machine M.O.D.O.K. But are they running M.O.D.O.K., or is M.O.D.O.K. running them? To find out, Cap has no choice but to turn to the only person who actually knows: the Anti-Cap himself! Meanwhile, the Falcon has gone on the offensive, shutting down the Rivas drug cartel. 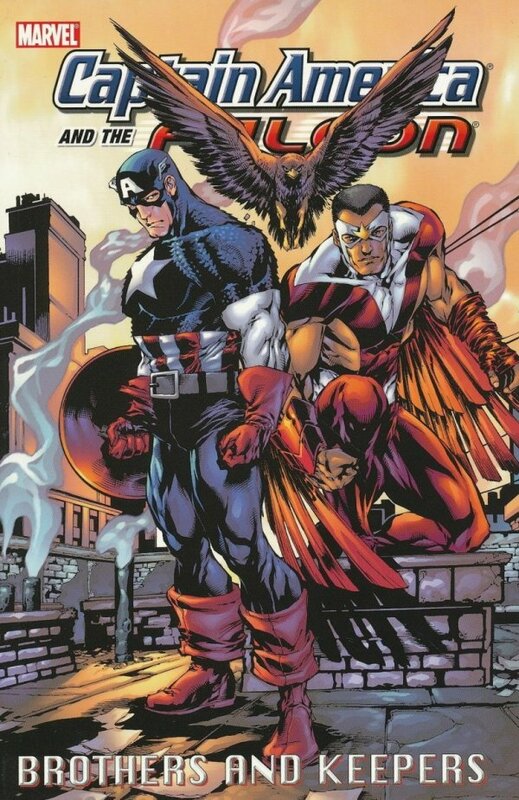 But there's a line between heroism and vigilantism, and Robbie Robertson fears the Falcon has crossed it and may never find his way back.